Hello! How is everyone doing today? I'll be joining in the Tuesdays on the Run linkup fun today and talking about "Alternative Medicine for Runners". I decided to change this a bit and talk about my fast fixes for running (otherwise known as running hacks.) These are little tips and tricks that I've picked up along the way, and I hope you can learn at least one new thing today. Make sure to leave your fixes in the comments! I love to learn new things! When I'm low on motivation, it always gets me excited to go some place new. I usually stick to to the same few routes, and go to the same workout classes each week. Driving to a new place to run, or testing out a different class is a sure way to get back into the groove! Nothing gets me excited to start training again like an upcoming race. As soon as I feel in a funk, or find myself skipping workouts for a while, I look for a local 5k or other fun race to sign up for. Some resources that I use to find races are runhigh, elite runners racing, smiley miles , active and half marathon race calendar. This might not be the best way to get your motivation back, but having a new pair of shoes or cute new shorts makes me want to work out. I wouldn't recommend doing this every week (unless you have a money tree in your back yard) but this is a good way to reward yourself for working hard. Sometimes I'll make a deal with myself that I can get a new tank top or some shorts if I don't skip any workouts for two weeks. It always works! My mom taught me this trick, and it works amazingly. Drinking some tart cherry juice somehow completely alleviates all the muscle soreness after runs and tough workouts. The taste is tough to get used to, so I suggest mixing it with water at first, or blending it into a smoothie to get used to the tart taste! During races and hot workouts, salt tabs are a complete life saver. The tabs I use are these, which are large and tough to swallow at times, but have never bothered my sensitive stomach. For a while, I was having horrible stomach problems during races, and this has eliminated any issues I have! I highly recommend trying them, particularly in the summer. Most runners swear by foam rolling, and I'm definitely a fan as well. I have a few different rollers, and use one practically every day. Dan and I both use them for everything from neck pain to tight hamstrings. If you're interested in learning some great moves to try, check out this article. In the summer, plain water just doesn't cut it for me. I'm not a fan of most sports drinks, which just taste sugary and heavy after I finish a workout. I love having Nuun and water, but coconut water is even better! My favorite is from Trader Joes, which comes in a big carton and tastes really fresh and refreshing. It has fewer calories, less sodium, and more potassium than a sports drink- which also makes it great for hydrating during a workout as well! It has been so hot lately, and during my out door runs and workouts all I want is something frozen and refreshing as soon as I finish. I bought some freeze pops from the store, and they are PERFECT, as well as super cheap! Usually you can find huge boxes for just a few dollars. They might not be the most healthy thing ever, but they're pretty small and make being out in the heat a little more rewarding! I've tried so many different cross training workouts, and I have to say that yoga has made the biggest impact. With yoga, you not only strengthen your body and muscles, but also improve flexibility, stretch out sore muscles, and improve your mental strength. Yoga is such an amazing workout and is perfect for active recovery, because it won't wear out your body like some other workouts (for me, that would be Group Power and spinning). Even if you only have 10 minutes to fit in some yoga, it will help tremendously! 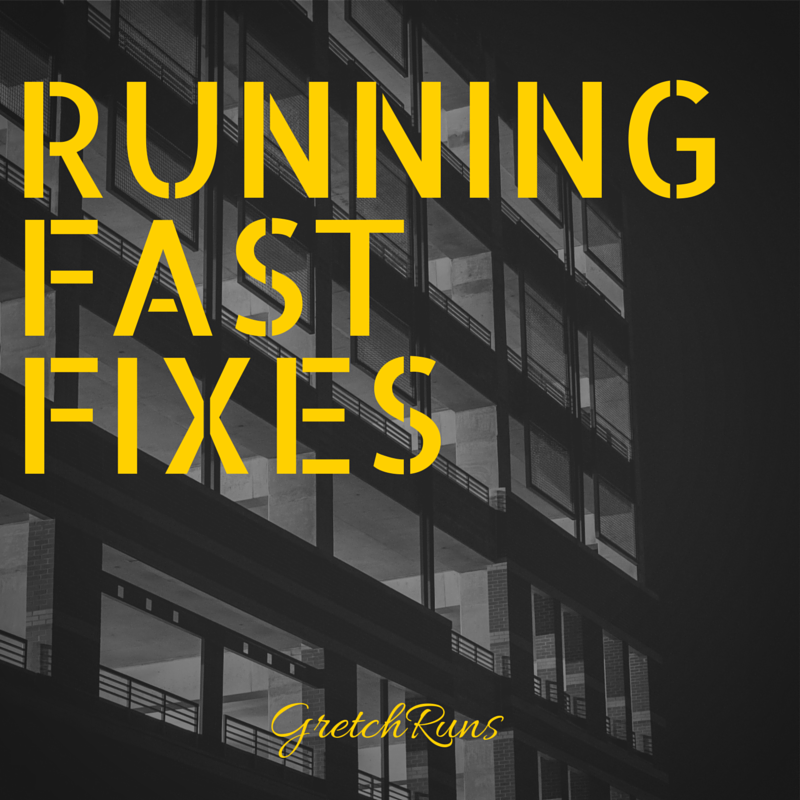 What are some of your running hacks/fast fixes? I have never heard of tart cherry juice to help. I have heard of tomato to help but I don't like that so I may have to try the cherry juice. Thanks for the suggestion. Coconut water is my favorite beverage ever! So delicious! I love yoga, but I think everything is important - yoga, strength training, foam rolling, the list goes on & on. Freeze pops are great in the summer, and I love the idea of having one after a hot workout. I have regular popsicles right now so I could try those. It's great! I have some watermelon popsicles right now that are amazing. When my feet and calfs are sore/tired and my go-to fix is wearing compression socks. Definitely hot in the summer, but worth it to have the extra support! Also... using a frozen dixie cup of water to massage out any tight areas.... multipurpose of "rolling" out the area and icing! I love that frozen cup trick! Definitely going to try that. Thanks for the suggestion! I love finding new places to run! I like these hacks! I've never tried tart cherry juice or salt tabs, thankfully I haven't had any cramping issues while running. I hear great things about coconut water too! Thanks Janelle! You're so lucky to not have cramps while running. It's not fun at all! New music! Downloading a new song or two always helps me! I love your list. Great ideas. Haha I never seem to have any around at that time....need to plan ahead! I feel like doctors are always changing their minds about what's healthy and not..I can tell a difference when I drink coconut water and regular water so I'll keep it up! Even if it's a placebo, if it makes me feel better I'll do it! Great tips! One of my favorite "hacks" is pickle juice for cramps! I know it sounds odd, but if I have cramping after a run, pickle juice cures it right away! Yes!! I used to do that all the time. Luckily I absolutely love pickles so this isn't too hard for me to do :) Thanks for sharing! I completely agree with the Salt Caps and foam rolling. I couldn't live without these 2 things. I'm a little low on motivation right now...I think it's the weather. I need to sign up for something! It's definitely the weather! It's tough getting out there. Thank goodness I have 2 races coming up in August or I wouldn't do anything!